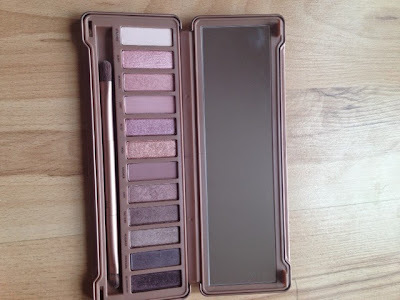 Hi Dolls, a couple of weeks ago I got the Urban Decay Naked eyeshadow palette for My birthday. I was delighted as I had wanted it for a long time and it had sold out in most stores upon its release. This palette has 12 neutral rose-hued gold shimmery shadows all really high pigments and I actually love every single shadow in this set, which is very unusual to love every shade! I normally love matte shadows with no shimmer but I think Urban decay do shimmer eye shadows in a classy way, not tacky with lumps of glitter. 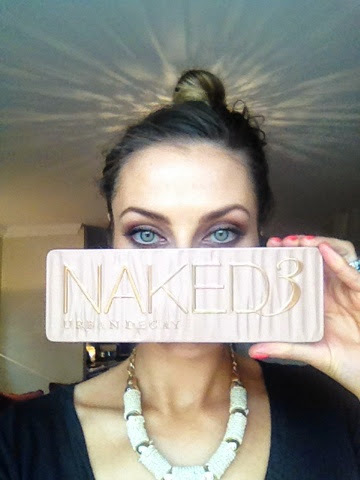 Also this palette is really excellent for people with green eyes, the tones just really make your eyes stand out, However I did use it recently on some clients and they ranged from brown to blue eyes and it was just as beautiful. The shadows are really long lasting you will not have to touch up during the day and they are silky and lightweight. If you are on the hunt for some new eyeshadows I truly recommend this palette and it will last you a lifetime! A brilliant investment for your make up collection. Ladies! 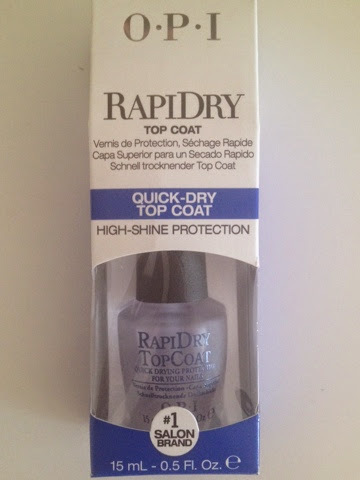 this is the MOST AWESOME product if your always smudging your nail polish right after you have taken ages painting them! Yep we have all been there haven't we??? So I picked up this baby in the Hair and Beauty supply I go to called Capital Hair and Beauty on the Richmond Road near Fairview. It was a total impulse buy that has made a huge difference to my beauty kit! Ok so I used it and it literally is touch dry in about 5 mins, now obviously you cannot go rooting in your handbag after straight away but it for sure speeds up the drying time by more than half! It also provides such a shiny glossy top coat to the point where people keep asking did I get a Gel manicure. 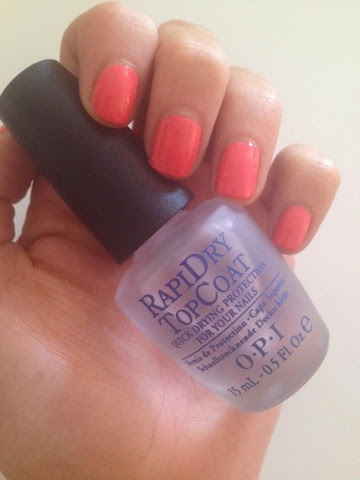 This is a fantastic Top Coat :) NO MORE SMUDGING! Hi Dolls ok I know this is a bit of a random post, but lately I've been on a bit of a Spring cleaning rampage in my house. So last weekend I did a massive clear out of my clothes and I reorganized EVERYTHING! Including all my drawers. 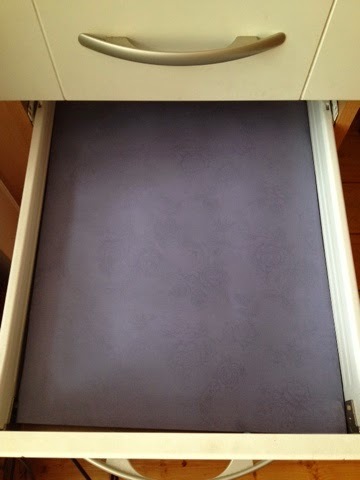 I had been really getting in to watching YoTube videos on storage and getting your closet organized, in these videos I noticed lots of girls in the USA have scented drawer liners! I have been looking for these in shops for ages and never found anywhere that sells them. So last Sunday I was at Merchants Market in East Wall Dublin with a friend and I found a man named PJ who owns a company called Gifts of the Imagination, and he was selling the most beautiful Drawer Liners. 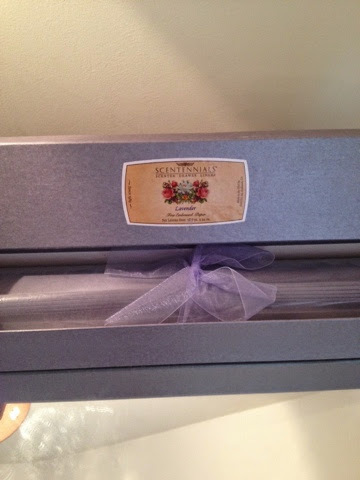 All available in different scents, colors and patterns on the fancy paper. They were very reasonably priced as I got a few sets some were gifts PJ gave me a great deal. I was delighted with them. PJ has lots of great gifts and all available online which I will link bellow. I have never seen these anywhere else and I put them in today and my clothes are smelling really gorgeous every time I open my drawers. All pricing is available on his website. Clarins are celebrating the end of winter with a brand new collection called ''Opalescence''. The focus of the collection is really fresh clean natural, soft make up as the weather turns milder for Spring 2014.
your sure to glow with radiance this spring. The make up base for a flawless complexion. Applied alone after your regular day care or mixed with foundation, every shade will light up the face. Available in 3 shades . This product leaves a veil of light on the skin that corrects and enhances. Quick and easy product to apply and gives a touch of coverage and leaves the skin feeling luminous and instantly restores the skins vitality, freshness and suppleness. A half make up, half skin care formula which illuminates the complexion. Clarins has created 4 pink and coral shades for a soft yet vibrant look for Spring. Its soft, melting texture sculpts, smoothes and colours to deliver a soft light natural look. These are fantastic as they can be used not just on the cheeks but can be used on the lips also to give them a touch of natural colour with a matte, slightly powdery finish. Gloss Prodige veils lips in light with a new coral tulip shade. apply alone or over your regular lipstick to enhance and smooth the lips. This lip gloss is my go to lip product right now I love it!. This is one of my favorite mens fragrances, it just oozes that scent of a freshly shaven shower fresh 007 man! Tom Ford just does fragrance so so well, I also adore his Make up collection it is super luxurious and it is a real treat for any man or woman. Tom Ford has got some male ''Grooming'' products like tinted moisturiser and mud masks etc they are done very discreetly to encourage men to look after there appearance without causing embarrassment. and pure citrus oils that give Noir Eau De Toilette a touch of coolness and freshness. 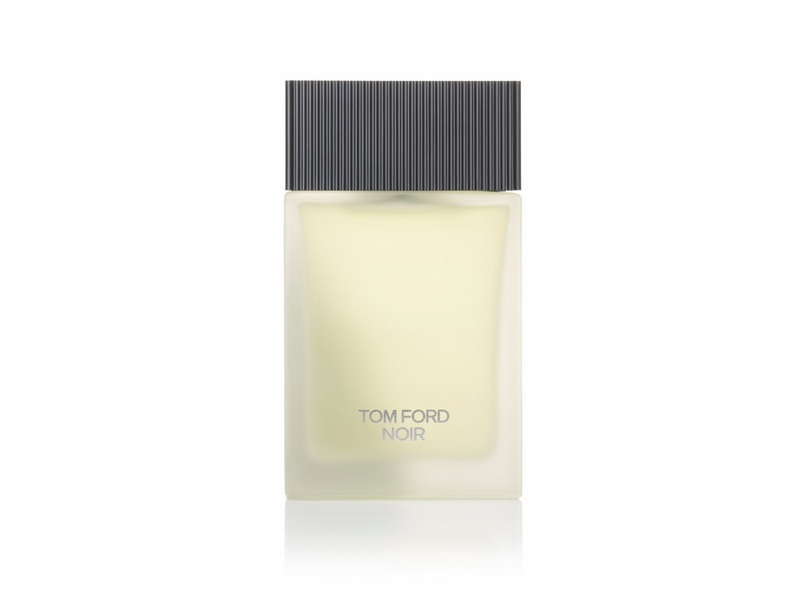 Tom Ford Eau De Toilette still has the undertone of depth that lays a sensual woody musky perfume base. Check it out on counter in Brown Thomas. Look what arrived today! All the way from Dubai. 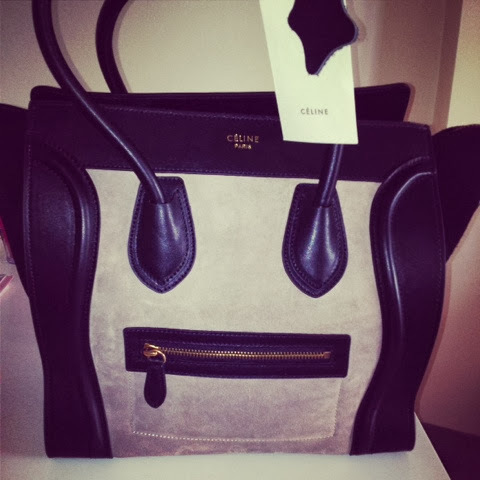 Mam thank you so so much, I adore my new handbag. Marissa Carter strikes again with another ground breaking new product in the Cocoa Brown range! Introducing '' Chocolate Whip'' its an oil free body moisturiser that makes your golden tan last longer, makes skin more hydrated, and gives a more even gradual fade of your tan. I have been putting this product to the test the last couple of weeks and the results were just FANTASTIC! So being a major tan addict this product has been missing in my life! Normally my tan would wear off patchy as I could never find a suitable body moisturiser. 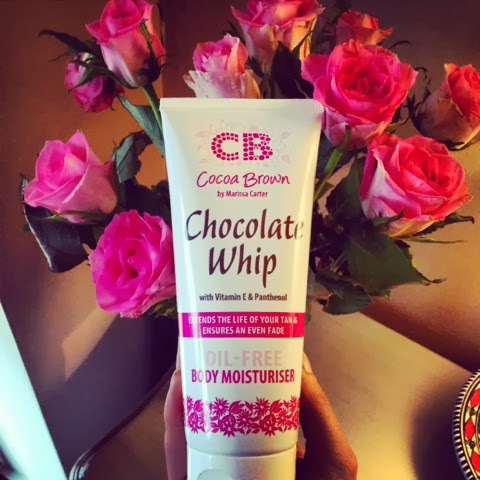 I found that Chocolate Whip has been the only product that obsorbed fast and really left my skin feeling silky smooth and hydrated. My tan is lasting way longer than usual, this product used in conjuction with the Cocoa Brown Tan, really gives bang to your buck! Chocolate Whip is priced at such a reasonable €7.99 and has made my bottle of Cocoa Brown Tan really stretch which I didn't think was even possible. This is a brilliant product and is now my most favorite body moisturiser. Chocolate Whip also has a wonderful scent of Tahitian Gardenia and it smells divine! really reminds me of holidays. Im a freelance hair and make up artist specializing in color, cutting, blowdrying up styling and make up for all occasions. based in dublin. Customizing your hair & make up to make you feel magical.